Shona Ferguson, Sdumo Mtshali, Darrell Roodt and Nomzamo Mbatha have just been announced as the judges for MAQamovie. The trio will be joined by prolific film director Darrell Roodt. In these foursome, South Africa’s finest film industry talent will be deciding which of the amateur actors will be going through to the semi-finals. 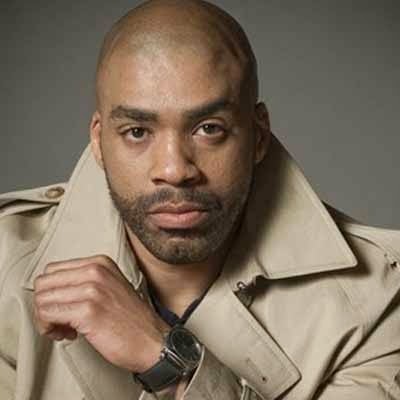 Shona Ferguson is best known for his role as Dr. Leabua on the soapie Muvhango. He also starred as Itumeleng Tladi, the charismatic and powerful protector of his community, in the M-Net soap opera The Wild. One of his most recent endeavours was the production of the Mzansi Magic drama series called Rockville in which he also stars. Sdumo Mtshali rose to fame after winning TV reality competition Class Act Season One in 2010. He landed his first leading dramatic role in the SABC1 drama series Intersexions after which he starred as Maidi Kotwe in Rhythm City. He later landed the role of Kuti Daniels in the SABC 1 drama series Tempy Pushas. His first major appearance in a feature film was iNumber Number directed by Donovan Marsh. Darrell Roodt is a film director, screenwriter and producer. His film Sarafina! was screened at the 1992 Cannes Film Festival and he has been nominated for an Academy Award for best Foreign Language Film. He has directed numerous films including Cry, the Beloved Country, Sumuru, Dracula 3000, Winnie Mandela, Little One, Stilte, Prey and Dangerous Ground. Nomzamo Mbatha is an actress best known for her role in Mzansi Magic’s IsiBaya. Her big break came in 2012 when she was a runner up in the MTV Base VJ competition. Since then the actress has had numerous opportunities in the field of acting and will be starring in a movie coming out later in 2015. “Each of the judges brings with them their own set of criteria when judging and deciding who will make it to the semi-finals. As a brand, MAQ Washing Powder is extremely excited to be bringing judges of this calibre to the MAQaMovie competition,” concludes Jacobs. To bring added value to consumers, MAQ has partnered with Boxer stores, which means that many of the auditions will be happening at select Boxer stores across numerous provinces. MAQ and Boxer are also offering consumers the opportunity to ‘Win A Day In the Life of A Movie Star’. The auditions will take place from February to March in various provinces including Gauteng, Limpopo, KwaZulu-Natal, Eastern Cape, Free State, Mpumalanga and North West Province. The Finals will take place in Johannesburg.